If you love fall and football as much as I do, check out this simple recipe for a sweet and tangy apple coleslaw that everyone will love. 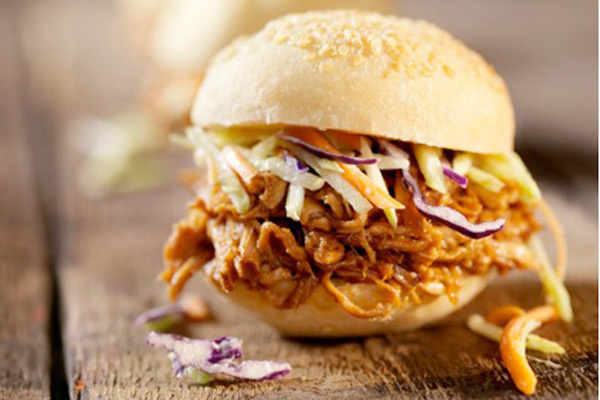 Serve it cold or atop your favorite pulled pork recipe to land an automatic first down every time. In a medium bowl, combine cider vinegar, mayonnaise, poppy seeds, honey, salt, and pepper until well blended. Set aside. In a large bowl, combine the cabbage, carrots, scallions, parsley, and apples. Pour in the previously made dressing and toss together until well blended. Refrigerate at least 1 hour before serving, mixing the salad at least once to evenly distribute the dressing. Test tip: Use the poppy seeds sparingly. 1/3 cup may be too heavy for your preferences. For extra zest, try adding red onion. Bio: Brittany is a senior at Penn State majoring in advertising. She loves food and flavors and trying new recipes. Her dream is to produce advertising content for the Food Network, and possibly one day attend culinary school and become a chef.